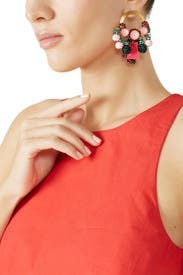 The kind of earrings you plan outfits around, these Elizabeth Cole hoops make a boldly dramatic statement. 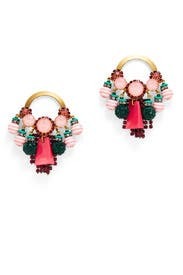 Gold plated large stud hoops with pink striped and green pave accent stones. Post backs for pierced ears. 2.5" long.